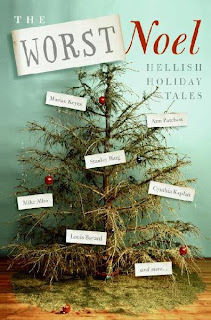 The Worst Noel contains multiple short stories about individuals who find Christmas painful, and hard to deal with. Being a non-fan of the commercial, Christmas holiday season myself, I found this book mildly entertaining. The stories weren't too exhilarating. My favorite story in The Worst Noel is "The Gift of the Magi Redux." This story is about a couple who buys each other the "wrong" Christmas presents, and the couple eventually breaks up as a result of not understanding one another. What a hilarious concept - who hasn't been with a person who bought them the "wrong" gifts? The rest of the stories in this novel are so-so. Would I recommend The Worst Noel? Probably not - maybe only to those who have a deep hatred for Christmas.